Since 1970, McDonald’s has dispensed its famous green, minty Shamrock Shake during February and March to celebrate St. Patrick’s Day. McDonald’s sells Shamrock Shakes in the U.S. as well as in Ireland and some Canadian restaurants. I’ve always loved the taste of a cool, refreshing Shamrock Shake, but a small shake contains a staggering 530 calories and 86 carb grams (including 73 grams of sugar)! You can drastically decrease these numbers (along with the 15 fat grams of a real Shamrock Shake) with this copycat Shamrock Shake recipe. Best of all, you don’t have to wait for the right months of the year. 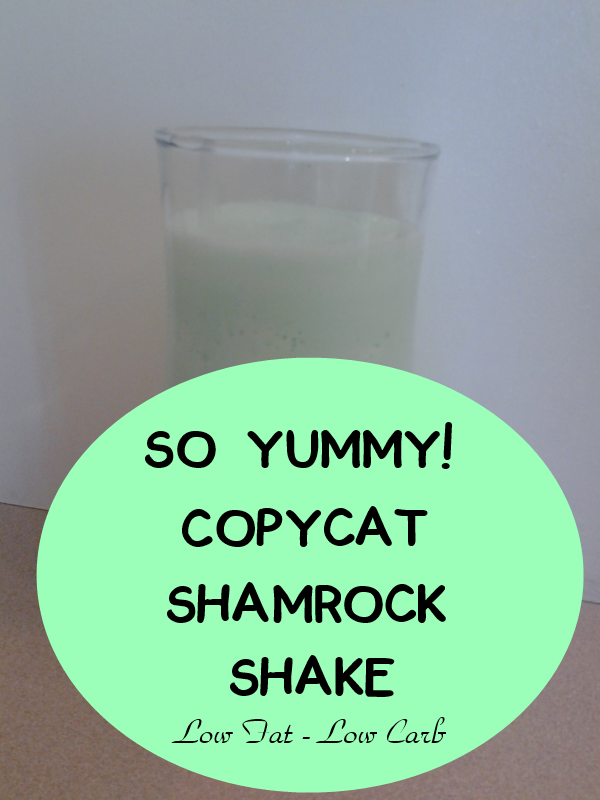 You can whip up this tasty copycat Shamrock Shake recipe for you and your family all year long. It’s much lower in carbs and calories than the real thing – and cheaper to make, too. Mix all ingredients in a blender or food processor until smooth. 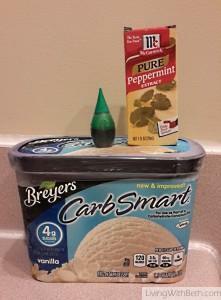 Take care when adding the food coloring drops and mint extract. They come out pretty fast, so you could accidentally add too much. Serve immediately in cups or glasses (approximately two 12 ounce cups or three 8 ounce ones). What’s your favorite thing to make to celebrate St. Patrick’s Day?